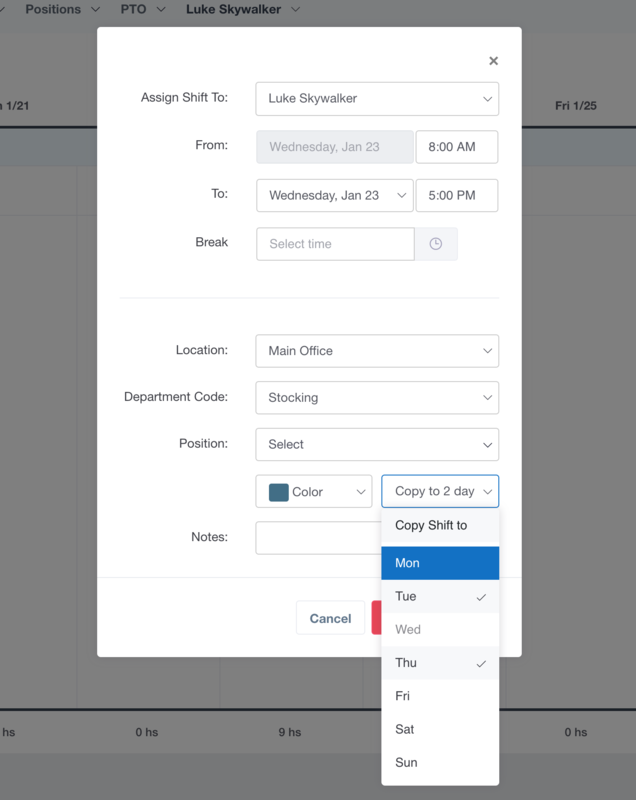 If you want to copy a shift, you can do this from the schedule page. If you are looking to save some time by copying shifts, you can achieve this one of two ways. The first is by editing a current shift or creating a new one. 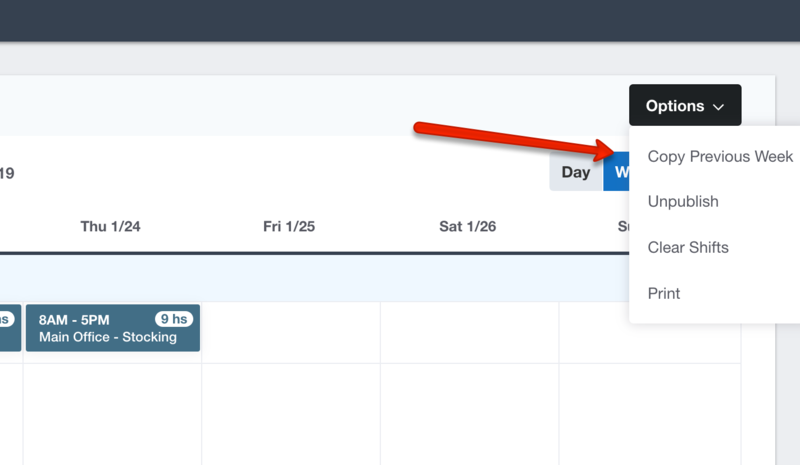 You will see a dropdown that says "Copy shift to" where you'll be able to select which days you'd like the shift to be copied to. After you've chosen your shifts select save. You will need to Publish the shifts once done. Alternatively, you can choose to copy the shift schedule from the previous week by selecting Options followed by Copy Previous Week. This will not copy PTO. You will then need to Publish the shift(s) once copied.